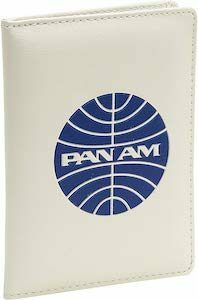 Now there is a Pan Am Passport Cover that will bring back memories to the good old days when Pan Am was flying the skies. The passport cover comes in a white and a black version and both have the Pan Am logo on it and inside it there is room for your passport and credit and loyalty cards. So now you can travel in style while keeping your passport in new style. It will also be so much easier to keep your travel documents together. 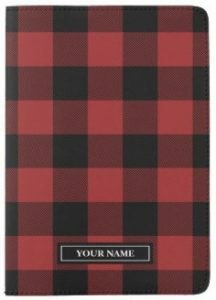 If you travel with you family then you know how difficult it is to keep organized and that is why you need this family size travel wallet. 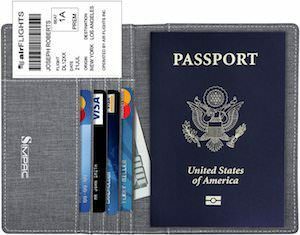 The travel wallet comes in a bunch of colors and has a pocket for tickets and papers on the outside but on the inside there you find way more spots for holding things. 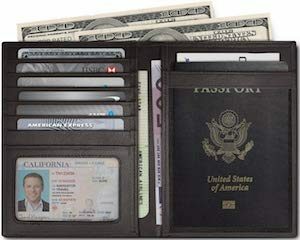 The travel wallet can hold a pen, 4 passports, 5 credit cards, cash, coins, and keys. And this travel wallet also blocks RFID so nobody is stealing your information and it is also water repellent and available in many colors. 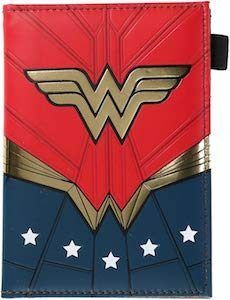 Even when not traveling this wallet is perfect for keep things together so that you only have to look in one spot for all your travel needs. 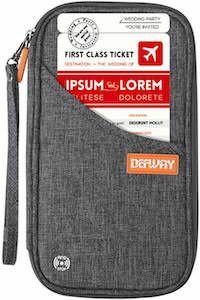 If you like one place with the travel needs you have when traveling then you just need this fabric passport cover with RFID blocker. The fabric passport cover is available in many colors and can hold the passport and cards and even your boarding pass and some cash so all you really need is in one safe location and as it has RFID blocking build in you don’t even have to worry about people stealing your ID or card information..
A nice looking passport cover like this will also protect your passport from damaging so this cover seems so useful you know you need it. 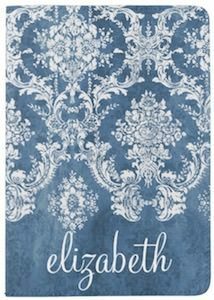 Your passport deserves a cool cover and this damask pattern passport cover. 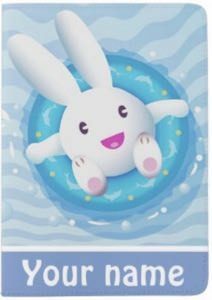 The cover has a blue background color with on it a white damask pattern and the same design can be found on the front and the back and on the front of the passport holder, you can have your name printed so that it is really easy to see what passport is inside the holder. 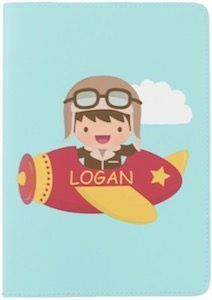 It’s a strong water resistant cover that gets you peace of mind while making your cover stand out. 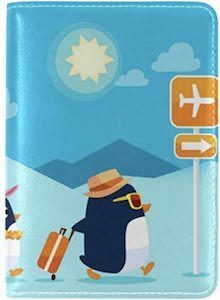 Now traveling will be extra fun as you have a cool looking passport and don’t have to worry about it to much.